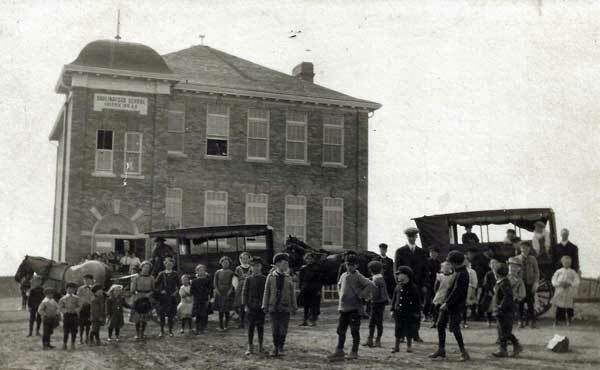 As early as 1905, the Manitoba Department of Education was experimenting with consolidation to better serve local communities and students. It was thought that a bigger and better equipped school, in a centralized location, provided better education. 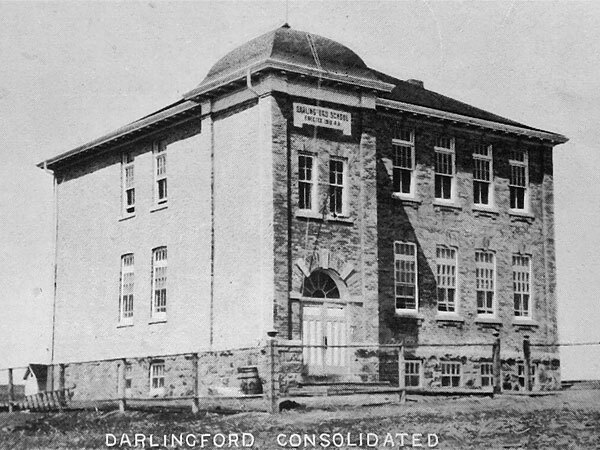 Darlingford Consolidated School No. 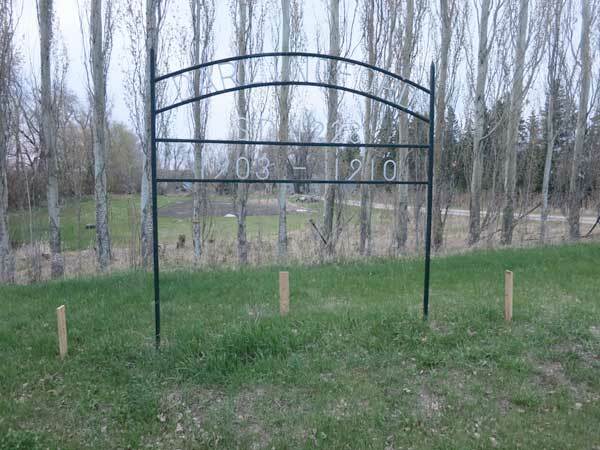 1228, in the village of Darlingford in the Municipality of Pembina, is an example of those developments. Built in 1910 of brick on a design by Winnipeg architect F. R. Evans, the entrance tower is notably off-centre so that, as the school enrollment grew, another wing would be added on the south side of the building. That never happened at Darlingford. The building features a rare fire escape system off the second floor at the rear. 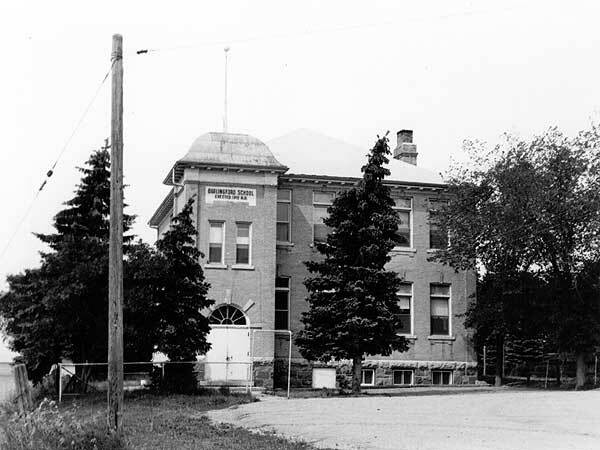 The smaller rural schools consolidated at Darlingford included Lorne School No. 56, Darlington School No. 79, Middleton School No. 404, Calf Mountain School No. 489, Barclay School No. 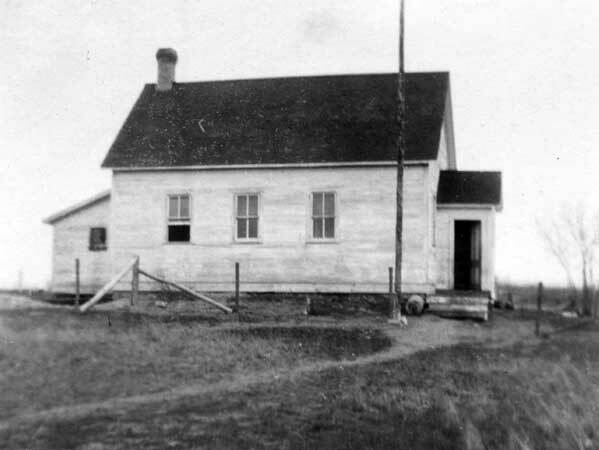 657, Point Douglas Consolidated School No. 1475, and Rosyth School No. 2030. 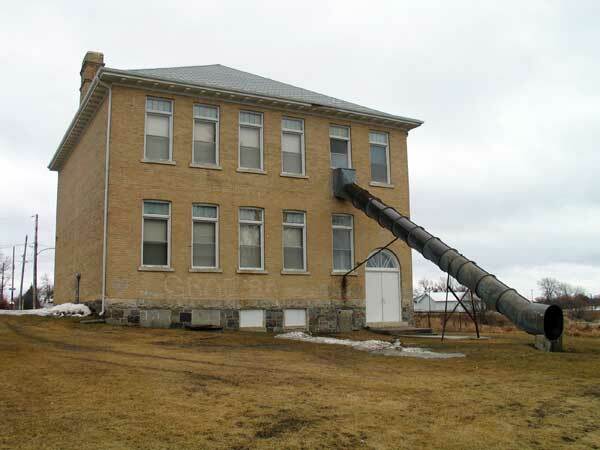 The school operated continuously until 1984 when, due to low student enrollment, it closed. A commemorative marker elsewhere in Darlingford denotes the site of the building which preceded the present structure, which operated there from 1903 to 1910. 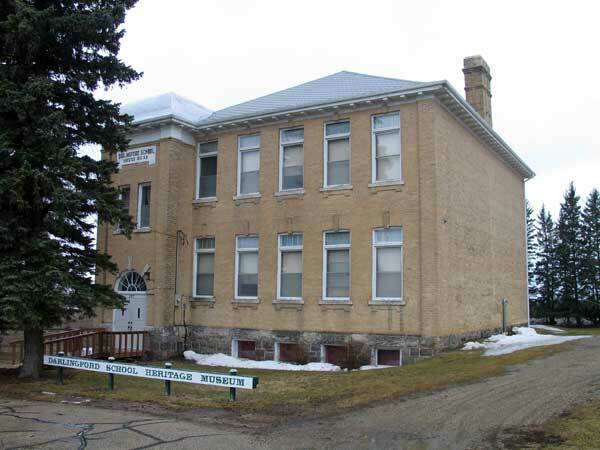 The former school building is now home for the Darlingford School Heritage Museum. Open during summer months, tours can be arranged by calling Bob Jordan at 204-822-6882 or Helen Johnston at 204-246-2140. Among the teachers who worked at Darlingford School through the years were Miss Brown (1925), Ina Lee (1925), and Leona Duncan (1925). 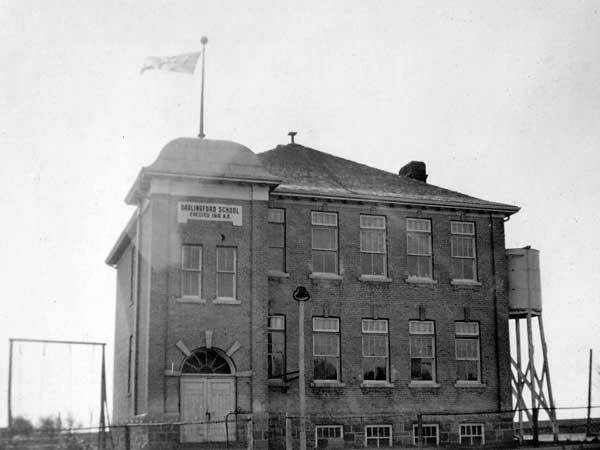 Source: Archives of Manitoba, Architectural Survey - Darlingford 36. The Darlingford Saga II, 1870-1970, 1970-1999 by the Darlingford Centennial Book Committee, 1999. We thank Ken Jacobs, Ed Grassick, Rob McInnes, Bob Jordan, and Nathan Kramer for providing additional information used here.